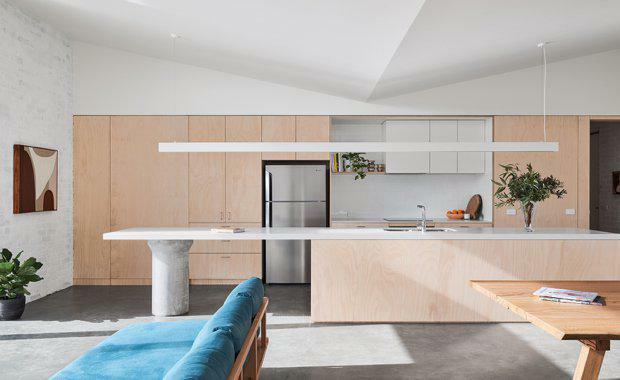 Clare Cousins Architects in collaboration with construction company The Sociable Weaver have built Victoria's first carbon positive, zero-waste home with a "10 star" energy rating. 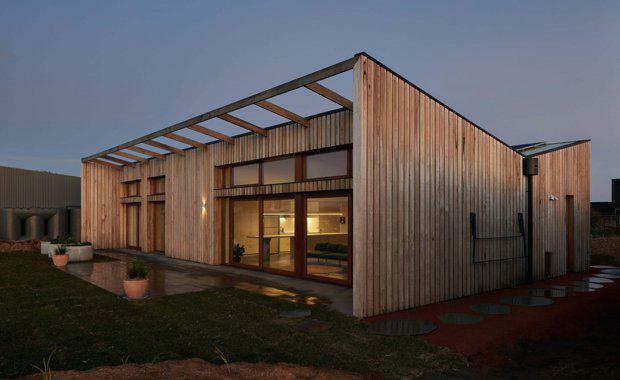 Located in Cape Paterson, the 10 Star Home uses passive solar design and cross flow ventilation to heat and cool the home – through the use of thermal mass industrial concrete floors, under-slab insulation, FSC hardwood double-glazed windows, and innovative new technology Bio-Phase Change Material (BioPCM) insulation in walls and ceilings. Combined with 5kW photovoltaic solar on the roof and highly efficient LED lighting throughout, the home is estimated to cost only $3 per year to run. In addition to its zero-waste construction and low energy use the house is designed to actively encourage occupants to live a more sustainable lifestyle. Organic waste created on-site during construction was used to start an active compost heap in the home's edible garden, where occupants are encouraged to grow their own food. Built to follow building biology principles, the home is entirely healthy and non-toxic – from the natural sealants and paints used on floors, walls and ceilings, through to organic and sustainable furnishings such as organic cotton bedding and mattresses, non-toxic natural cleaning products, right down to sustainable bamboo toothbrushes. Zero waste principles were also followed during construction to ensure as little waste as possible was sent to landfill. This involved working with suppliers to request materials delivered onsite without plastic packaging, and having separated waste bins onsite to collect recyclables, non-recyclables and organic waste. Excess materials were either re-purposed onsite or re-used on other sites. The 10 star home self-heats and cools (meaning zero utility bills), and produces more clean energy than it needs so you can offset your neighbour’s emissions. The 10 star home is priced from $495,000.